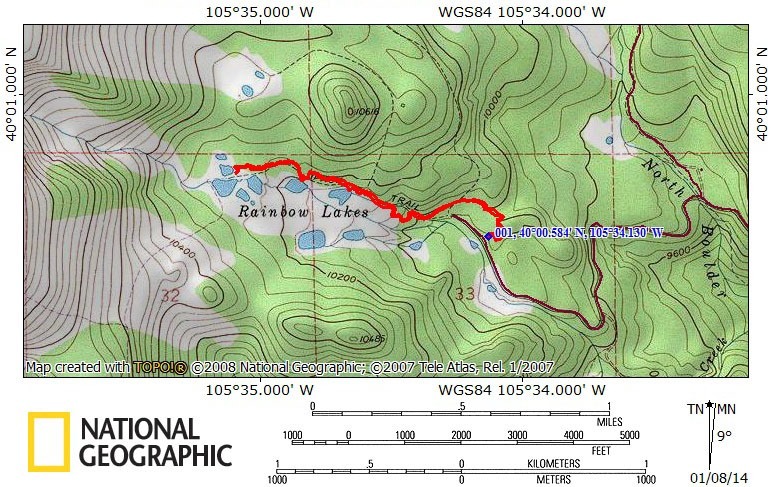 I was in Colorado last week, and got a chance to do a short hike to the Rainbow Lakes (elevation, approximately 10,000 ft.), north of Nederland and west of Boulder. The temperature was perfect, with a gentle rain occasionally falling. 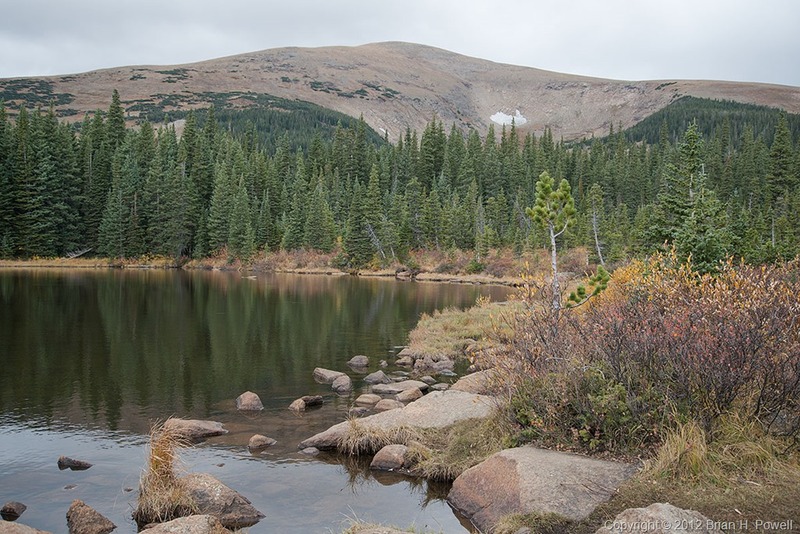 Here’s a photo of a late-in-the-season Arapaho Glacier, from one of the upper Rainbow Lakes. 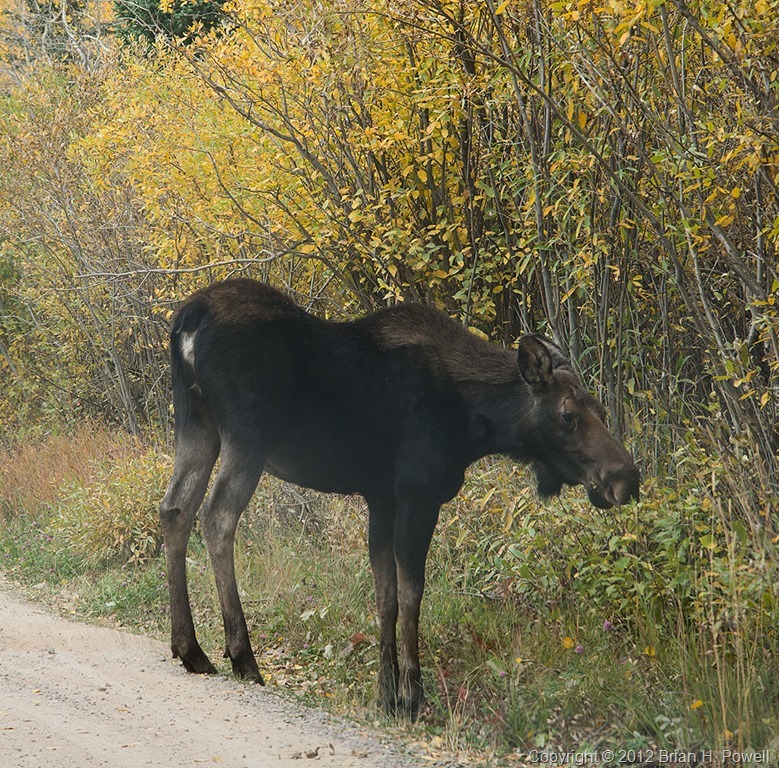 On my drive up County Road 116 (Rainbow Lakes Road), I turned a corner to find a moose standing in the road. We shared a mutual look of surprise before he walked off into the woods. 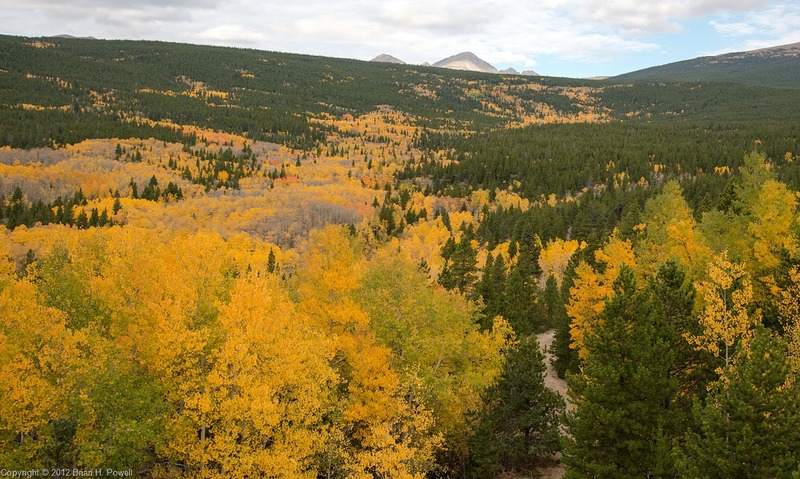 The fall colors along the Peak to Peak Highway north of Nederland were gorgeous. I love September in Colorado. But I love every month of the year in Colorado—being with friends and enjoying the mountains.